When I searched Youtube, I was pleasantly surprised to see there were a few full episodes. Perhaps the Paley Center has some shows in their archives. I really doubt if MeTV or Antenna TV will air the show. for this gathering was second to none. The 10th Annual Meet and Greet of Oldies Radio Enthusiasts will take place Saturday November 14 from 2 PM – 4 PM at Ben's Deli 209 West 38thStreet, New York, NY. Our gatherings in the past have attracted from 60 – 80 people. 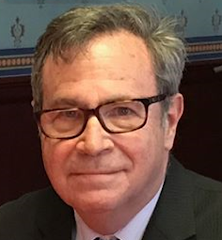 In the past radio personalities including Big Jay Sorensen, Broadway Bill Lee, Pat St. John, Sue O'Neal, Jim Kerr, and Carol Miller have attended. This year we have invited Ken Dashow host of the Beatles show on Q-104.3 and as of now he plans to attend. Bob Radil of Rewound Radio and Cool Bobby B of SiriusXM 50s on 5 also plan on attending.We will announce if other radio personalities are coming. 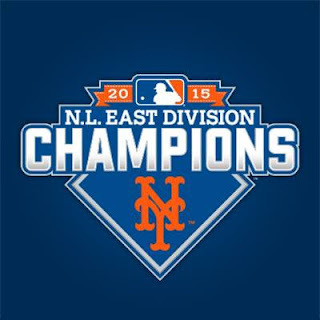 The Mets Win the NL East!! I have been a Met fan since 1962 and have seen some really bad years, mediocre years and two years when we won the World Series. The Mets have been terrible since Citifield opened in 2009 as the first 6 seasons were losing years. There was cautious optimism as this season began with a 13-3 record. They already had some good young pitchers with a few more on the horizon. As the season progressed the issues of poor hitting and injuries came into play. The pitching was excellent, but very often the team just could not score. There were significant injuries to David Wright, Travis d'Arnaud and left handed reliever Jerry Blevins. Jenry Mejia was suspended twice and Jeurys Familia moved into the unfamiliar role of closer. By the end of July the Mets were three games behind the Washington Nationals and were barely over .500. Sandy Alderson made the right moves by trading for Yoenis Cespedes, Kelly Johnson, Juan Uribe, and Tyler Clippard. The recall of Michael Conforto helped fortify the hitting. As I said before in this is journal is that the best trades are the ones that you don't make. Wilmer Flores and Zach Wheeler were not traded for Carlos Gomez. The playoffs are a new season as everyone starts at 0-0. The Mets will likely play the Dodgers in the first round. Pitchers Zack Greinke and Clayton Kershaw will be difficult for the Mets. In a short series anything can happen. If they win the Division Series, the League Championship Series against the Cardinals, Cubs or Pirates will also be difficult. Let's hope for the best. Bringing it All Back Home, Highway 61 Revisited, and Blonde on Blonde are my three favorite Dylan albums. I am greatly anticipating this boxed set. I found out that only 5000 copies of the Collectors Edition of The Cutting Edge will manufactured and that it will cost $600 for the 18 CDs and the other goodies that come with it. 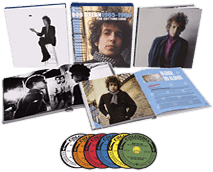 I decided that since I am not a wealthy man I will settle for the deluxe 6 CD edition which includes the complete sessions for Like a Rolling Stone and a 120 pag book. I pre-ordered it on Amazon.com today for $150 plus sales tax. 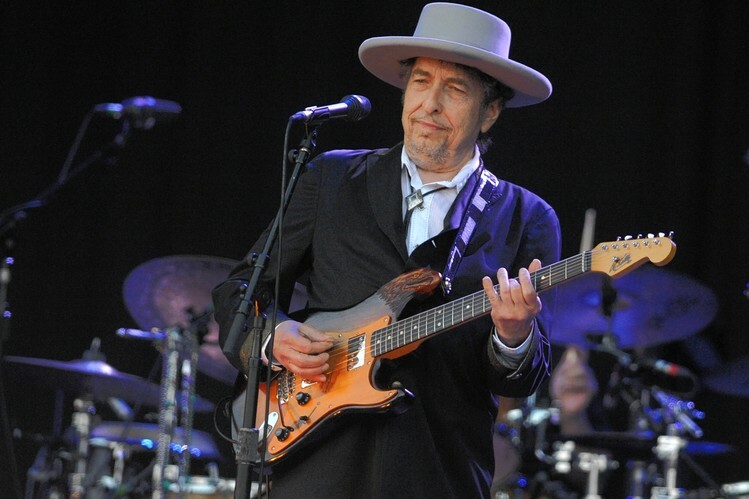 I found out today that on November 6 Bob Dylan will release Bootleg Series Volume 12 which will include early demos, alternative versions and outtakes from a period that saw Dylan release Bringing It All Back Home, Highway 61 Revisited and Blonde on Blonde. 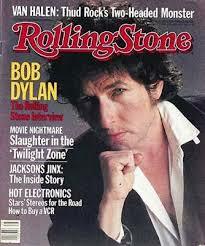 This is my favorite period of Bob Dylan, so I am eagerly awaiting its release. It will be available in three different editions: an economical two-disc size, an expanded six-disc version and a massive 18-disc package, which includes, among other things, sessions for “Like a Rolling Stone.” I will likely spring for the big bucks and get the 18 disc package. I checked Amazon.com and it is not yet ready for pre-order. I heard the news this morning that baseball icon Yogi Berra died at age 90. I first followed baseball in 1957, the last year that the Brooklyn Dodgers and New York Giants played here. 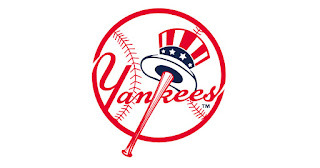 From 1958-1961 I rooted for the Yankees as they were the only team in town. In the early years he was still the primary catcher for the Bronx Bombers, but later on he moved to left field. 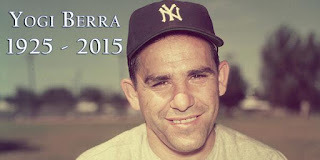 1963 was the last year he played for the Yankees as he became manager in 1964. In 1965 he played briefly for the Mets but spent most of his time as a coach. In spring 1972 after Gil Hodges died he became manager of the Mets. He holds the distinction of bringing both the Mets and Yankees to the World Series, but lost both times. Much has been written and said about Yogi today about his baseball career and Yogiisms. He will be missed. 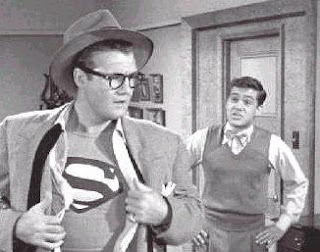 The Adventures of Superman starring George Reeves, Phyllis Coates, Noel Neill, John Hamilton, Robert Shayne, and Jack Larson as Jimmy Olson originally aired on TV in the 1950s. For many years it was shown on WPIX-TV or WWOR TV in New York City. Believe me I must have seen every episode umpteen times. Recently the series in seen on the cable channel MeTV Saturdays from 6 - 7 PM. We usually eat dinner at 6:15 and finish in time to watch the 6:30 episode. In the comic book Jimmy Olson had red hair and had a special wristwatch to call for Superman when he was in trouble. In the TV series Lois and Jimmy always got into trouble and Superman had to bail them out. Poor Jimmy always got into trouble with his boss, Perry White Editor of the Daily Planet. In later years Jack wrote librettos for operas. 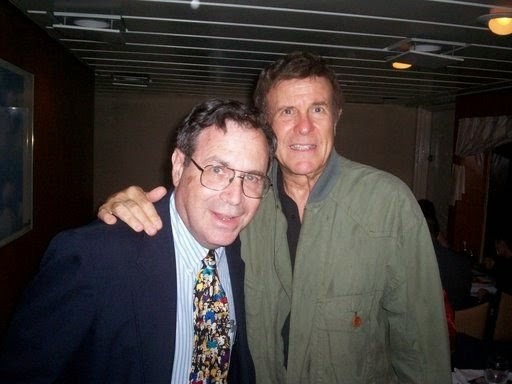 It appeared that he was typecast as Jimmy Olson and had difficulty getting acting gigs. I remember in the 1990s Jack hosted a marathon of Superman episodes on WWOR-TV. Now Noell Neill and Phyllis Coates are the only cast members still living. Noah Syndergaard gave up a three run homer to Carlos Beltran and a two run homer to Brian McCan as the Bronx Bombers took game 2 of the Subway Series. The Mets hitting also went south as they could only get 6 hits struck out 12 times. I thought that Joe Girardi overmanaged as he made too many pitching changes with a 5 run lead. I guess this is what is to be expected when the rosters are expanded. The Washington Nationals beat Miami today 5-2 so the magic number remains at 8. I sure hope that the Mets will snap out of this mini-slump. I still remember the collapses of 2007 and 2008. A few weeks ago I was thinking about buying postseason tickets from the Mets, but I would have to buy a strip of tickets for 12 games that may or not be played. Today I was able to buy tickets for the first NLDS game to be played at Citfield. They were a bit pricey, but for once in my life I want to go to a post season game. As it stands now the Mets would play the Dodgers in the NLDS. 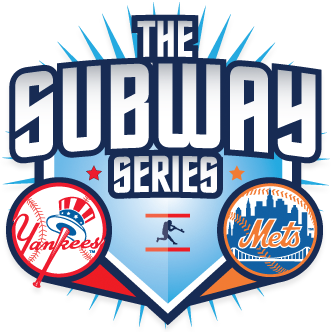 If the Mets have the better record Game 1 would be in NYC on Friday October 9, if not Game 3 would be here on Monday October 12. The Mets lost their last two games against Miami as the Nationals won leaving the magic number at 10. I still worry about what happened in 2007, but I think the team was due for a "cooling off" period. 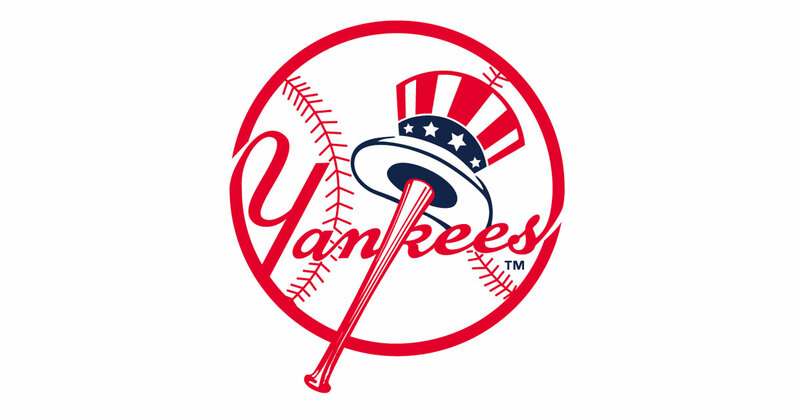 If they lose three against the Yankees I will start to get anxious. 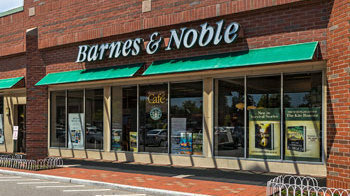 Within the last few weeks there were announcements of the closure of the last two Barnes & Nobles bookstores in Queens. One is in Forest Hills on Austin Street while the other is in the Bay Terrace Shopping Center in Bayside. Over recent years I have bought most of my books on Amazon.com, but it is still nice to browse in a traditional book store. In both cases the rent was raised so high that the stores could no longer be profitable. Please sign this petition to keep the store in Bay Terrace open. 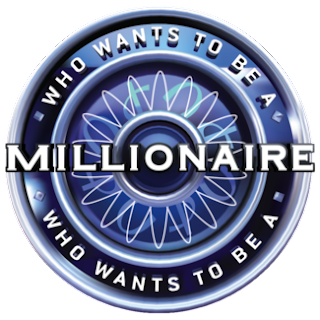 Since I was home today for Rosh Hashanah I turned on Channel 7 at 2 PM and found out that Who Wants to Be a Millionaire was not on. For a while I presumed that it was cancelled, but while I was surfing the web after 4 PM I found out that Chris Harrison was the new host and new rules were going to be used. 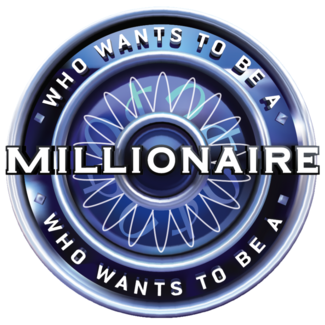 It turns out that Terry Crews had many other committments and was giving up his gig at Millionaire. I am glad that they are reverted to graduating the questions so that a $500 question is easier than one for $50,000. The "Jump the Question" lifeline is being replaced by the "50/50" which was in the original version of the show. In New York City the show will be seen at 1:35 AM on WABC-7 and 4:00 and 4:30 PM at WLNY which is at Channel 55 on Time Warner Cable. Since I tuned in a 4:35 PM I don't whether it is two different shows or one being repeated. I'll find out tomorrow. Meanwhile Jeopardy's and Wheel of Fortune's new seasons begin tonight. I wish a happy, healthy, and prosperous new year to all my Jewish friends who follow me on Bruce's Journal, Facebook and Twitter. I don't think we went to an LIU Post football game in about 2 years. In the past we regularly went to games at Hofstra and Post, but since the former dropped football Post was our only option. It must cost about $100/ticket to buy nosebleed seats for the Jets or Giants so $5/ticket for a Division II game is a bargain. In a close gain the Pioneers of Post pulled ahead of Assumption College and won 40-31. 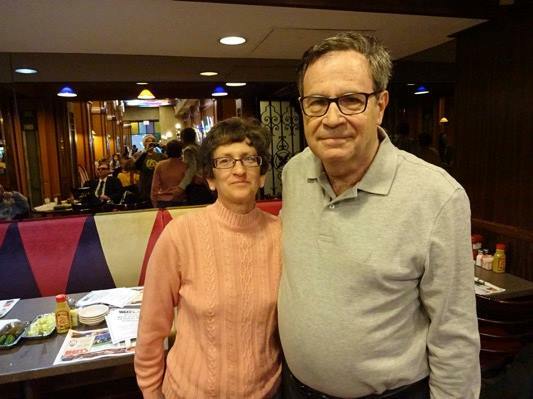 Norbert Elliot is a retired Professor of English at NJIT. Certainly NJIT is a tech school, but scientists and engineers need to write in professional journals. 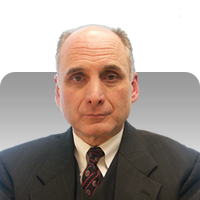 Certainly Norbert and his colleagues serve a very important role in giving students a well rounded education. Since he came by to visit the library today, he has earned the title of Facebook Friend of the Day. He says he follows me on Facebook so hopefully he'll see this journal entry. Thanks for stopping by. It is supposed to hit 93 degrees in NYC. Usually after Labor Day the temperatures decline, but not this year, Is this global warming? The bullpen for the Mets really came through yesterday as Jon Niese gave up 5 runs in the 4th inning. they are now 5 games ahead of Washington Nationals whom they play today and tomorrow. I still think back to the 2007 season when the Mets were 7 games ahead with 17 games to play and did not finish first in the division. WCBS-FM had a weekend featuring Number 1 hits of the 70s, 80s, and 90s. I guess demographics in the radio business has reared it ugly head. People like me who grew up listening to 60s music are just not appealing to advertisers. 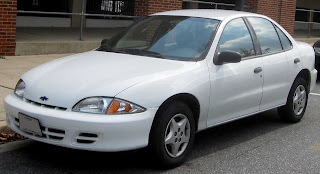 In April 2000 I bought a brand new Chevy Cavalier from Nemet Motors in Jamaica. My car is like the one above but in a light brown color. I vaguely remember taking a photo of my car, but I just could not find it. It has been primarily a weekend car since I don't drive my car to work. If I did I would likely have a companion blog complaining about tolls and traffic. I do have an alternative blog discussing mass transit delays. Anyway today after almost 15 1/2 years I reached the 60,000 mile mark which is less that 4,000 miles per year. My car is running well so for the time being I plan to keep it. Keeping the car in a garage certainly helped to preserve it. The only time I root against the Yankees is when they play the Mets. Twice a year on the average we make the trip to Yankee Stadium to see the Bronx Bombers. The bats were just not there today as the Yankees could just muster 5 hits against Tampa Bay pitching. The game was boring as there were 12 walks given up by 12 pitchers on both teams. As I said in a previous post, there are just too many righty-lefty switches after the rosters expand. The Blue Jays won today putting the Yankees 1 1/2 games behind in the AL East. There are about 4 weeks to go in the regular season. After all these years I still prefer the Blonde on Blonde version. While I was listening to Cousin Brucie, Karen and Lee were in the living room watching the Mets. As you can see from this video that was posted on Twitter minutes afterward Ruben Tejada hit an inside the park home run against the Phillies. He was lucky that Domonic Brown fell into the stands as he chased the ball. When you are winning things just go your way. The game isn't over yet. On September 1 major league teams can increase their rosters to 40 players. Thus many will be recalled from the minor leagues while others will come up when the AAA season ends in a week or so. Baseball is the only sport that allows for the expansion of rosters. It gives teams a chance to observe many prospects who will likely be promoted to the major leagues next season. Contending teams can really take advantage of having more players by making numerous lefty/righty moves with pitchers and hitters. I just hate it when a pitcher is brought in to get one batter. It just makes the game drag. I think the rule shoujld be changed so that a team may activate only 28 players for each game. They can recall as many players as they want, but have 3 extra players each game.